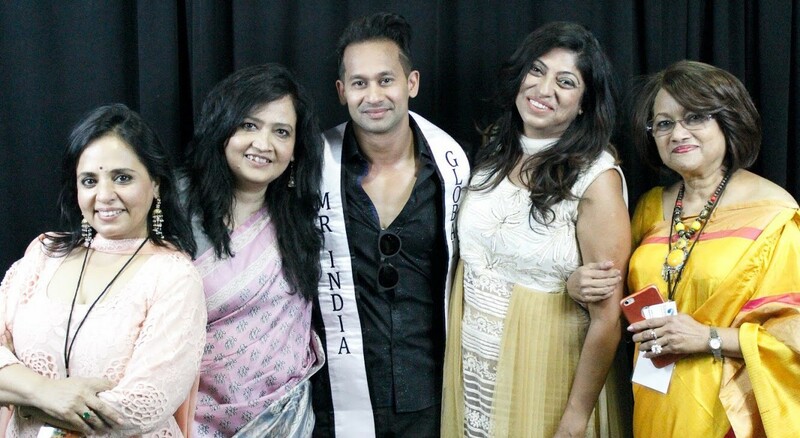 The nine winners: Muskaan, Sparsha, Jiya, Aishwarya, Miss Teen Tanvi Gujral, Miss India Rati Sarkar, Aarti, Divya and Mrs India GA Sarika Datta. Atlanta, GA, October 11, 2018: The 2018 IACA Beauty Pageant was held on August 25th, in a glamorous setting at Roswell Cultural Arts Center, in front of a full house. 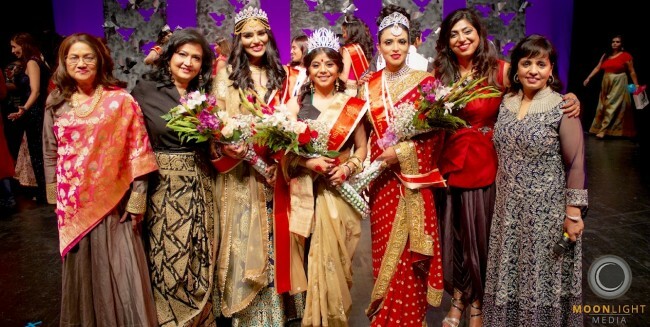 IACA organizes this popular event every year to select Miss Teen India Georgia, Mrs. India Georgia, and Miss India Georgia. 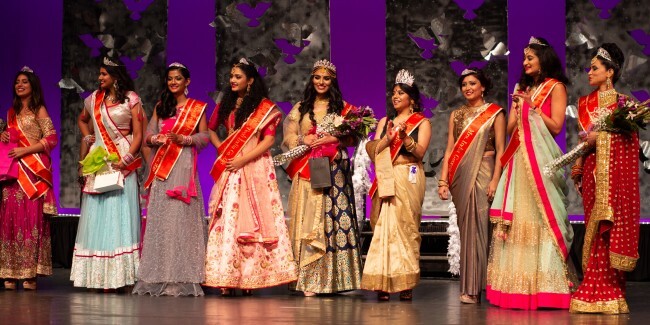 The winners of this pageant go on to participate in the national Miss India USA Pageant held in New York. The elegant show was very well organized by the beauty pageant team, lovingly called the “Dream Team” by the contestants. The team consisted of Kiran Agnihotri, Dr Lakshmi Rao, Sonjukta Halder, Shally Venkatesh and Prem Rahman, and the young volunteer group of Pritika Halder, Manik Deep, Devika Agnihotri and Mallika Halder. The effort of the team was not only to groom the girls for the pageant, but also develop their confidence, give them an opportunity to showcase their talents, connect with the Indian culture and make friends, all in a positive and cohesive atmosphere. Dr. Suvrat Bhargave and his beautiful wife Kali Bhargave were the emcees for the evening and managed the event professionally and kept the audiences interested and engaged. Music for the pageant was compiled and managed by Arijit Chowdhury. Photography and videography was handled by Moonlight Media. The title winners with the organizing team. The able judges for the evening were Nadiya Damani, Mayumi Cole, Shermyn Malani, Uma Murlidhar, Atin Majumdar, Rani Singh, Vicki Rama, Karishma Kamdar, Susan Hunter, Ron Corbin, Grace Puri and Sarah Ali. The program included: American Evening Gown Walk, a talent round for the Teen and Miss Contestants. There was no talent round for the Mrs contestants, who were given the opportunity to speak on one of the following platforms, the #MeToo Movement, Health and Fitness and Women Empowerment. While the Teens and Miss contestants exhibited various talents like singing, playing instruments, dancing and monologues, the Mrs vowed the audience with their powerful views on the topic of their choice. This was followed by a beautiful and colorful Indian attire walk. The top five finalists participated in the Q/A round. In addition following category were recognized. People’s Choice Award went to Aishwarya Vallem. Special guest appearance by Atlanta idol winner Rahul Nana, with his beautiful singing was another highlight of the evening, which was further enhanced by well choreographed high energy dance performances by Prem’s Dance Studio and Planet U Performing Arts. Vote of thanks was delivered by Dr Paddy Sharma, Chairperson of IACA who acknowledged the hard work of Pageant team , all the participants, parents , sponsors, and audience who made this event a success. Special thanks were given to Grand Sponsors for the event the 27th Investments, Mr &Mrs Gill and Malani Jewelers.